Zeolites are naturally occurring minerals composed of aluminosilicates. According to the U.S. Environmental Protection Agency, there are more than 40 naturally occurring types of zeolite, and more than 600 synthetic forms. Zeolite is a potent adsorbent of water, gases, some chemical compounds, metals and odors. Freshwater aquarists and pond-keepers use zeolite to remove ammonia compounds, which are poisonous to fish, from the water. Over time, zeolite's ability to absorb ammonia diminishes, but it can be recharged by using one of a few simple methods. Make a strong brine solution by dissolving noniodized table salt in warm water at a rate of at least 4 tbsp. to 1 cup of warm water. More can be used, but it will not enhance the effect to any appreciable degree. Immerse the zeolite in the brine, and let it soak for at least nine hours. A 24-hour soak is best. Rinse the zeolite thoroughly with fresh water. Tap water will work just fine, but distilled or reverse osmosis water can be used for a final rinse if you have concerns about contaminants. 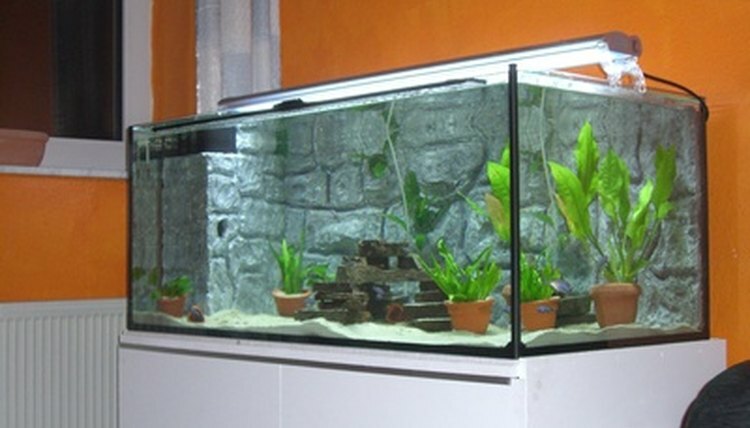 Replace the zeolite in the aquarium filter. Remove the zeolite from its mesh bag or other container and spread the zeolite in a single layer on a baking sheet. Place the zeolite in the oven and let it bake for 30 minutes. Remove the baking sheet from the oven and allow the zeolite to cool before placing it back in its filtration container. Place the zeolite on a baking sheet or other flat, portable surface and spread it out in a single layer if possible. If it is enclosed in a sealed mesh, simply place the bag on the surface. Put the zeolite in a location where it will receive direct sunlight for the greater part of the day. Allow the zeolite to sit in the sun and fresh air for two days. Rinse the zeolite and place it back into its filtration container. The sun and air method works best during the summer months. You can increase the amount of heat the zeolite is subjected to by covering it with black plastic and weighing the plastic down. If you use this method, be sure to expose the zeolite to fresh air before using in order to make sure that any gases trapped by the plastic covering have been thoroughly vented. 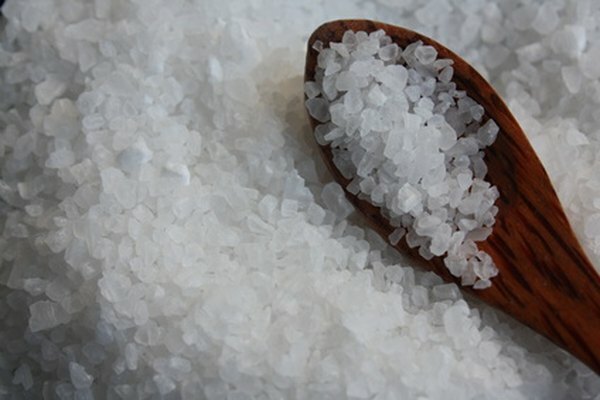 The Sun and Air method is also good if the zeolite is contained in a plastic mesh that will not tolerate an oven temperature of 350 degrees F.
Water softener salt can be pulverized and used. If you have a lot of zeolite to recharge, this might be more economical. Using zeolite will disrupt or prevent the nitrification process in your tank or pond. The nitrification process, or nitrogen cycle, is the formation of beneficial bacteria in the aquarium and filter. Zeolite should only be used if there is a significant ammonia spike that needs to be brought under control. Do not add salt to any aquarium filtration system using zeolite. This will cause the zeolite to instantly release any ammonia it's holding into the water column. Do not use zeolite all the time in a planted tank as this will deplete the ammonia used as part of the nitrification cycle, depriving the plants and nitrifying bacteria of valuable nutrients. Michael Douglas-Llyr has written professionally since 1980. After working as a staff editor for a law book publisher for 10 years, Michael studied graphic design at Platt College in San Francisco, and graduated in 1994. Michael studied creative writing at the University of California Los Angeles and screenwriting at 20th Century Fox's Open Door Program.